A married couple is found dead in their jacuzzi. Their adopted five-year-old daughter has vanished. 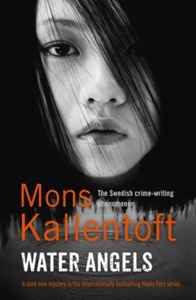 Inspector Malin Fors, the troubled but brilliant star of the Linkoping police force, is put in charge of the case. But this is a haunting mystery where the borders have been blurred: those between the living and the dead, between good and evil. Malin is only too aware of her own tendencies towards obsession and addiction. As the investigation takes a darker turn, forcing Malin to confront her own demons, will she hold out long enough to find the killer - and the missing girl - before it's too late?